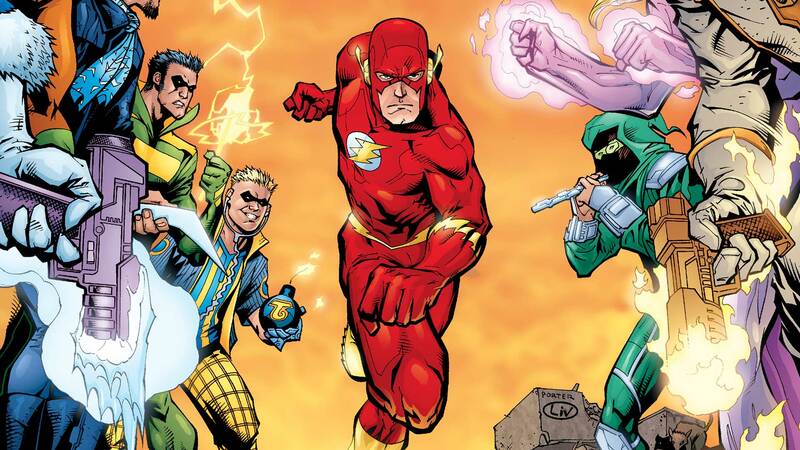 The rivalry between The Flash’s original Rogues and the newer Rogues has ignited into a war that may destroy Keystone City and kill the Scarlet Speedster! The Rogues turned heroes get their minds readjusted, thanks to the revived Top, and when both Zoom and his inspiration, Reverse-Flash, turn up, things look bleak for The Flash and his allies! Collects THE FLASH #214-225.